Providing sporting facilities for the villages of Stanstead Abbotts, Stanstead St. Margarets and Great Amwell. 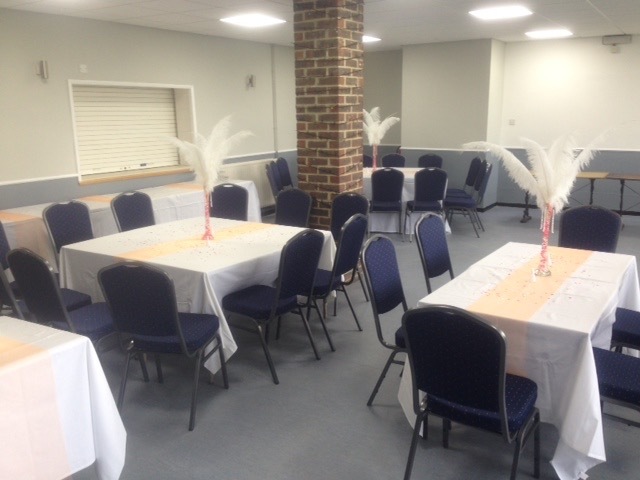 Our function room (The Croft Room), with licensed bar, is available for hire. 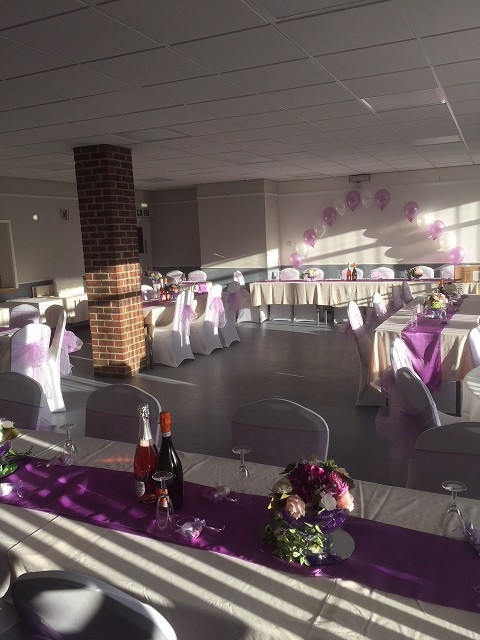 The Function Room has a maximum 120 person capacity (120 standing or 80 seated), which is large enough to cater for most events, but also ensures your guests are not lost in an over-sized hall that can sometimes be the case. The adjoining Bar area can accommodate approx 80 people with a combination of seating with tables, and standing. 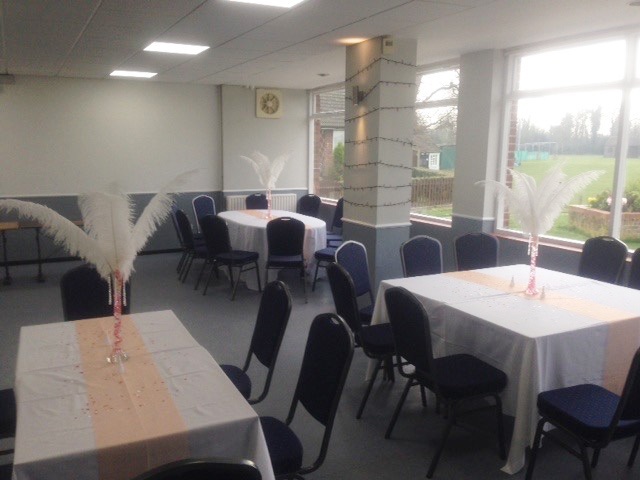 So you can enjoy an intimate venue with some character, that could be the ideal solution for your event. Free Parking for vehicles is all on-site with plenty of spaces. All within easy access just 1 mile from the A10 road at the Ware (South) turn off. 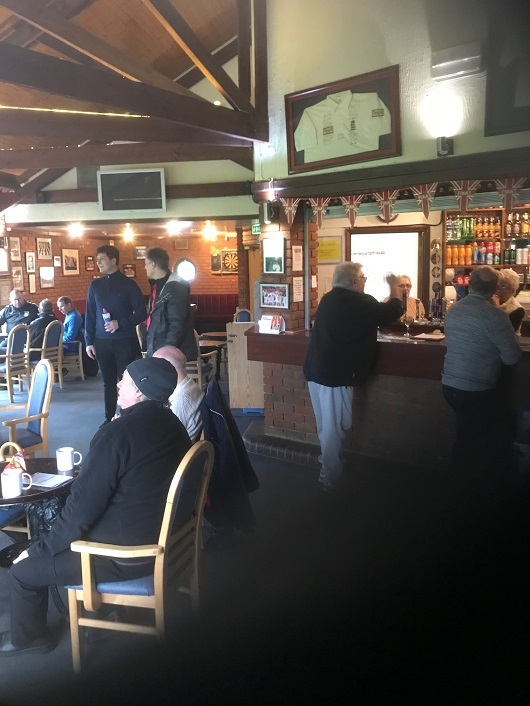 The function room has its own fully-licensed bar and fully fitted Kitchen with oven, fridge and freezers, etc., with a large serving hatch directly into the Function Room. So ideal for self-catering solutions. Drinks are generally a lower cost than local Pubs, and being secluded away from residential areas, you can enjoy music, drink and dance up until midnight. In the daytime, visitors can enjoy the surroundings with an open view across the club's Cricket field. The room can also be used for presentations, exercise classes, meetings, etc. They are a Senior & Youth Football Club in Hertfordshire. The Club was Founded 1894 (as Stanstead Abbotts FC). The reserves play in U25 Development Division of the Spartan South Midlands League. The Under 18 Academy play in the SCYFL. They have coaching for 4-8yrs - Youth Boys & Girls football 7-18yrs - Snr 1st Team & Under 25 Development - U18 Academy. Facilities include 3 full size football pitches. The club was formed in 1737 under the name Stanstead Abbotts Cricket Club. They field 3 senior XI's on a Saturday which all compete in the Saracens Hertfordshire Cricket League. The club also has a highly successful Junior section, which fields teams from U10 to U17 age groups in the Hertfordshire Junior Leagues. Since 2005, the club has been awarded Clubmark accreditation by the England and Wales Cricket Board, which means that they are recognised for our commitment to the development and safeguarding of young cricketers within the local community. Two large cricket pitches facilitate two teams playing at home most summer Saturdays. Regular social activity including BBQ�s, quiz nights, curry nights etc. SMTC fields teams in local competitive tennis leagues during the Summer and Autumn seasons , as well as internal club competitions for all standards. Off A10 take A414 to Harlow/Chelmsford. At 1st roundabout take B181 to Stanstead Abbots. Ground approx 1/2 a mile on the right.